The modulation of a laser describes its ability to switch output on and off during drawing a pattern and to create color mixture. 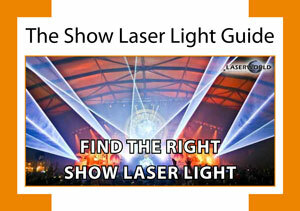 Modulation can be TTL, which means the laser source can only switch on and off, but not dim. The other option is an analog modulated laser. RGB laser systems with TTL modulation can create maximum 7 colors, whereas analog modulated systems can create many million color shades. Entry level laser systems are often TTL, professional laser systems are analog modulated. - TTL Modulation - What is TTL Modulation? - Analog Modulation - What is analog monulation?